Apply for additional data plan for a family member with a discount of up to 40% OFF! Call 211 or visit a Globe Store today to inquire about this discounted extension plan. 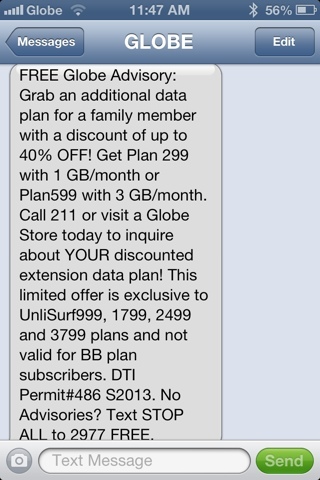 This limited offer is exclusive to UnliSurf999, 1799, 2499 and 3799 plans and not valid for BB plan subscribers.